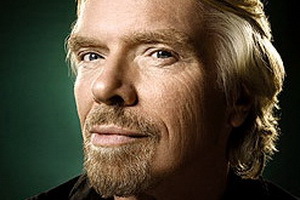 Sir Richard Branson is the founder and president of Virgin Group. One of the world's most recognized and respected brands, Virgin has expanded into air and rail travel, hospitality and leisure, telecommunications, health and wellness, and clean energy through more than 300 companies in 30 countries. Richard has been involved in a number of world record-breaking attempts since 1985. In 1986 his boat, 'Virgin Atlantic Challenger II,' crossed the Atlantic Ocean in the fastest ever recorded time. This was followed a year later by a hot air balloon crossing of the same ocean in 'Virgin Atlantic Flyer.' In 2004, Richard launched Virgin Unite to tackle tough challenges facing the world. Richard pledged 100% of profits of Virgin transportation companies to clean tech investments, and this year he launched the Carbon War Room to mobilize capital, innovation, expertise and entrepreneurs to advance climate change efforts. Branson is the author of several books including Losing My Virginity: How I Survived, Had Fun, and Made a Fortune Doing Business My Way and Reach for the Skies: Ballooning, Birdmen, and Blasting into Space. "News is what someone doesn't want published"